The air conditioner just celebrated its 110th birthday, and keeping them operational has become a full time business for heating and air service providers. With temperatures hovering over 90 degrees this summer, HVAC companies are finding their technicians busier than ever, servicing working units while replacing old, worn out cooling systems. It is not just residential home HVAC systems that have been affected by the heat, but also businesses, who require a cool, comfortable environment for their employees and customers, not to mention their goods and equipment. 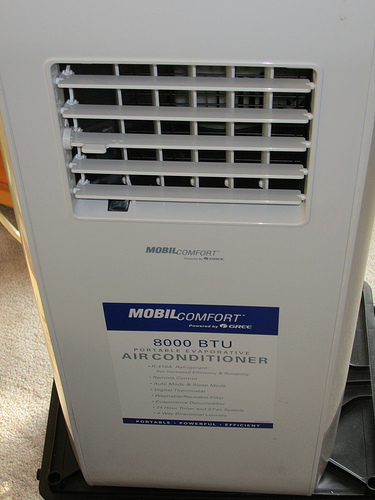 With the rising costs in energy, and the fact that up to 30% of all cooling systems have been installed incorrectly, and, therefore, do not get maximum efficiency from their units, many home owners and businesses are looking for alternatives to the traditional AC system to keep their home and business climates cozy. As well, many are conscientious about how their HVAC units affect the environment, and are also interested in finding ways of reducing their energy costs. Many of these folks have discovered that geothermal heating and cooling systems meet their requirements. One geothermal system manufacturer is GeoStar. GeoStar renewable energy geothermal units have become the industry standard, and are rapidly being installed across the nation to help customers save money and energy, while giving them an expected system life of up to 50 years before replacement is needed. Geothermal renewable energy heating and cooling systems draw a predominant amount of their energy from two places: the Earth’s core that releases natural energy and provides a constant, never-ending source of clean energy, and, from the sun. The Earth absorbs 47% of all heat from the sun. Lakes and other bodies of water on one’s property can have coils placed at the bottom to capture the energy to be converted into home heating and cooling. Installing a geothermal system at your business, whether you are an injury attorney, a florist, a manufacturer, or at your residence, you can expect up to a 30% tax break as a result. For clean, renewable energy that reduces emissions, your energy bill, and the headaches that often accompany a traditional home HVAC unit, consider installing a geothermal energy system. For any further questions please contact a GeoStar provider near you for more information.